This week started with me crying over a celebrity death. I've never done that before, but hearing the news of David Bowie, the Goblin King who played a HUGE role in my childhood (seriously, I think I could quote about 80% of that movie right here, right now, it's not even on. I had to have watched it at LEAST once a week for many years when I was little), brought me to tears. 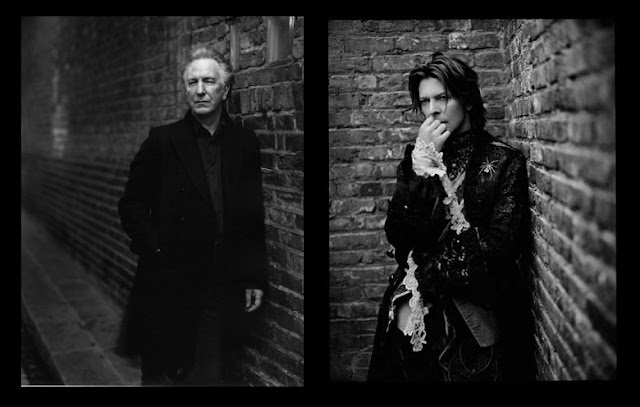 I promptly purchased Blackstar and have been listening to it all week! If you don't have it, and are a fan of his work, pick it up! Later, I wanted to do these snakeskin-ish nails with some cool pattern stickers I got from the Born Pretty Store. I had been thinking Slytherin all along, and was sad to see I tossed my size-too-small Snape shirt. Boooo. And then the news of Alan Rickman came out. 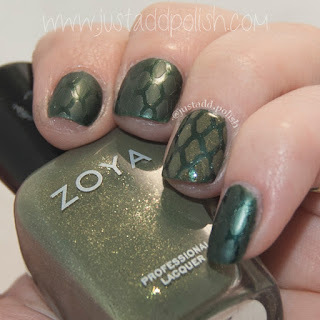 Zoya Ray and Zoya Yara make up the pretty greens, and a mattecoat by Warpaint Beauty, a (discontinued, I believe) brand by Hot Topic. 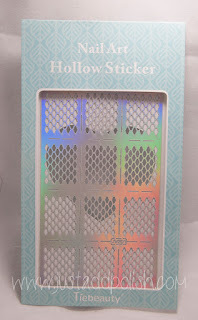 The cool holo(hollow, haha!) 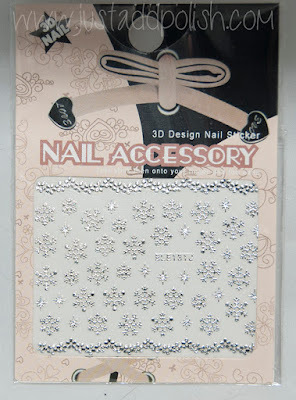 nail sticks, I think, were intended to be used on their own. And they certainly are pretty so I could have done that... But SNAKE! 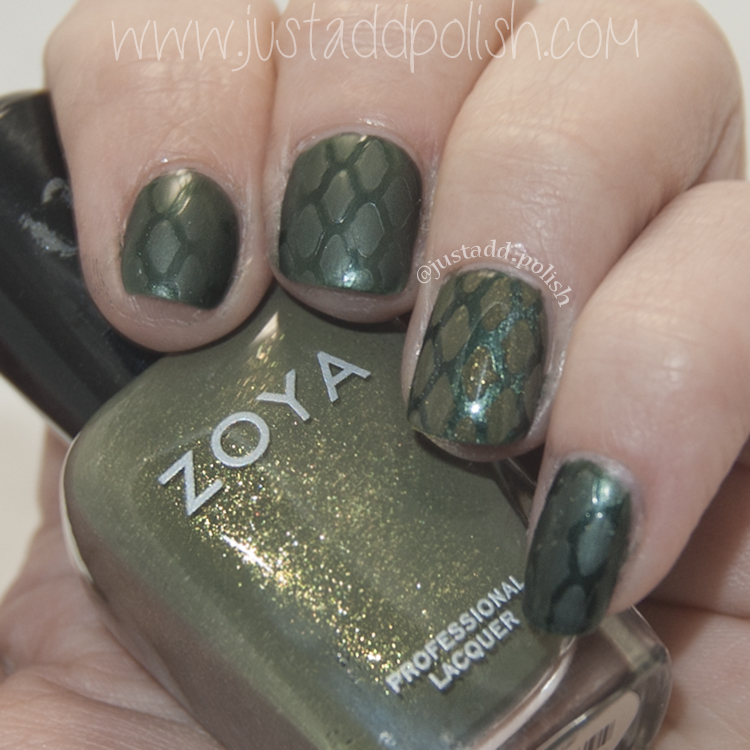 Not that this truly resembles snake skin, but eh. The inspiration was there. 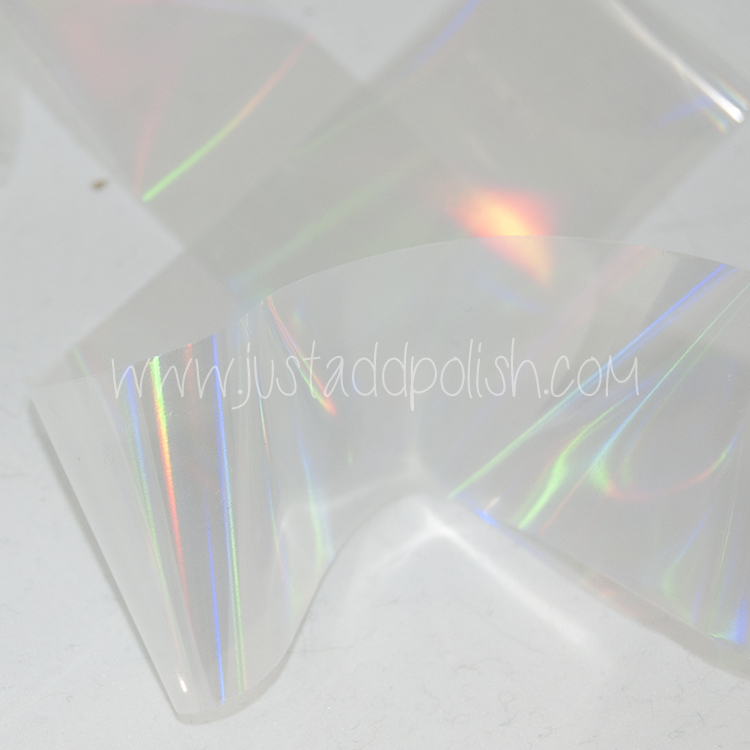 These stickers are super easy to use, and as long as you pull them off correctly, they made a nice design! Pulling them off from tip first seemed best, and while still wet. BPS Review. 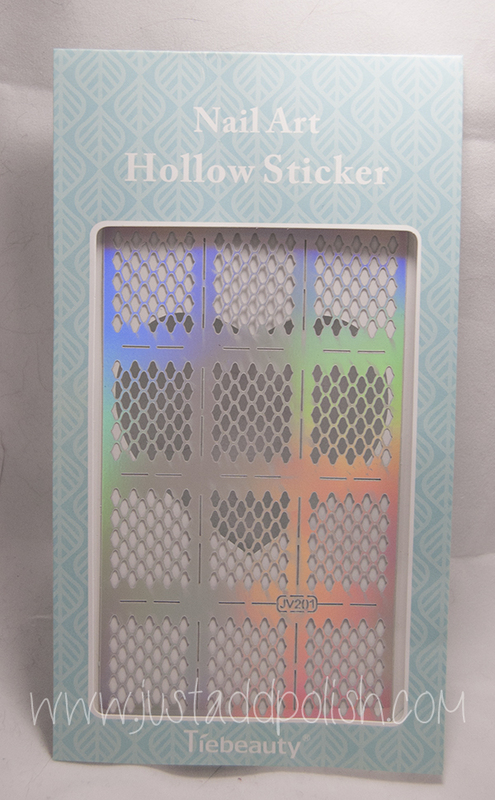 Holo stickers sent for honest review. Please see my disclosure policy here. Hello everyone!! It's been awfully snowy out here in the ole' SLC. 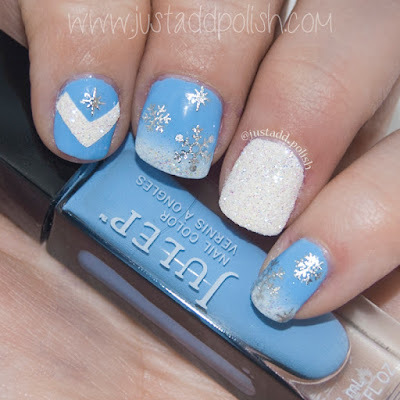 So I thought a snowy cold manicure was in order. I'd like to try to enjoy the snow, but it's super hard when I crazy hate being cold! And none of this "take layers off, put layers on" Even if it's cold for just a short period of time... It's too cold. I got these super cute stickers from Born Prettty!! On the index finger I did NOT apply a topcoat over the sticker, whereas on the other two nails I did. 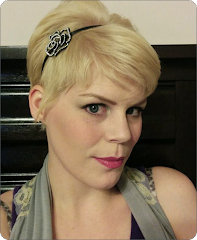 I think I like it better without, although it's more likely to fall off faster. Win some, ya lose some. Overall, the stickers are wonderful. They peeled off the backing perfectly, and applied very smoothly. Love! The blue is Jelep Margaret and the white is NOT Venique for once. =P The white is Julep Eileen. There is some glitters at the tips. That's a sponging of Sally Hansen Disco Ball. The chevron and ring finger start with Eileen, and then have some loose glitter sprinkled on top. Btw, I need a thousand more loose glitters. I LOVE the textured look without having to seek out a texture polish! However, it does flake off pretty easily, but at least it leaves behind a nice texture. As always, don't forget to use my coupon code if you decide these stickers need to be in your life, or anything else from The Born Pretty Store!! Hope your holidays were super great!!! BPS Review. Snowflake stickers sent for honest review. Please see my disclosure policy here. All polishes and glitters were self-purchased.